Digital media company Tastemade and SoulPancake, the content studio and production company owned by Participant Media (“The Help”) and originally founded by Rainn Wilson (“The Office,” “The Meg”), have entered a multiplatform partnership. Together the two will develop and produce original programming for three long-form, unscripted television projects that include the matchmaker series “Board of Dating,” “Move Today,” which finds people in a rut and transports them to an all-new city and life experience, and “Wild Therapy,” where couples find out if tackling big challenges together in the wild can mend their relationship issues. Under the partnership, “Board of Dating” and “Move Today” will first be piloted to the companies’ combined online following of more than 35 million fans. They will then use the data and audience insight gathered from the digital launch to create a more robust package for linear TV pitching. “Wild Therapy,” on the other hand, is a straight to TV project and will not premiere on digital. The companies will be actively shopping the project in the coming weeks. The slate kicks off today with the premiere of “Board of Dating” on Facebook Watch and the SoulPancake YouTube channel. The pilot for “Move Today” will release on November 1 on the Tastemade Home Facebook Page and the SoulPancake YouTube channel. Additional details on “Wild Therapy’ are expected to be announced at a later date. With 10.5 million total viewers tuning in to its debut “live,” ABC’s “Roseanne” spinoff series “The Conners” became the No. 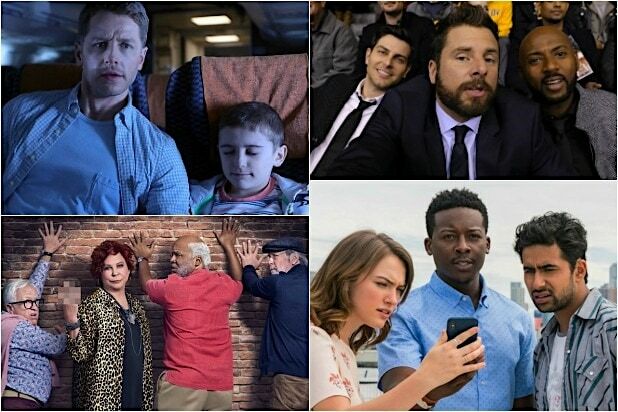 1 new show of the Fall 2018-19 TV season — but just barely. NBC’s “Lost”-like vehicle “Manifest” is now second, having averaged 10.4 million overall viewers on its own premiere night. CBS’ “God Friended Me” had initially topped that total, though the NFL football-boosted drama adjusted down in final numbers. Scroll through our gallery for the full rankings of fall’s 21 debuts. TheWrap will update this post as more new broadcast shows start. Will Journalists Be Replaced by Artificial Intelligence?